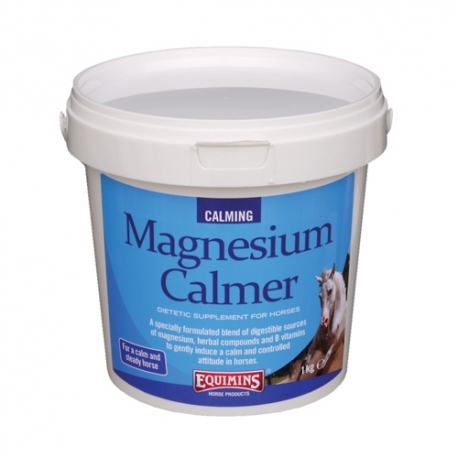 A specially formulated blend of digestible sources of magnesium, herbal compounds and B vitamins to gently induce a calm and controlled attitude in horses. 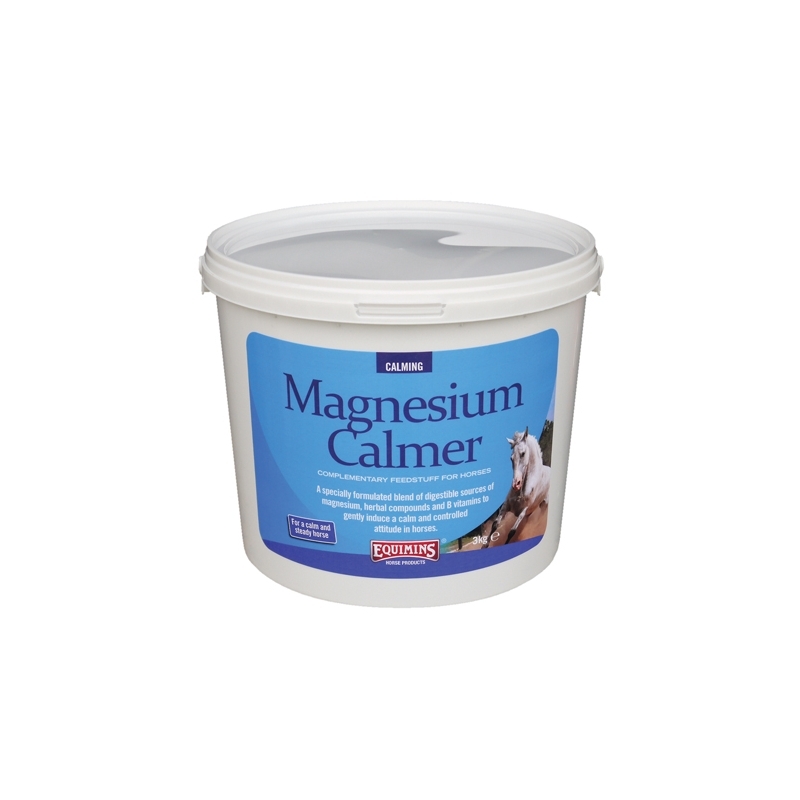 Magnesium Calmer contains magnesium from four different sources to ensure maximum digestibility for horses. In addition there are some calming herbs to relax muscles without making the horse lethargic. 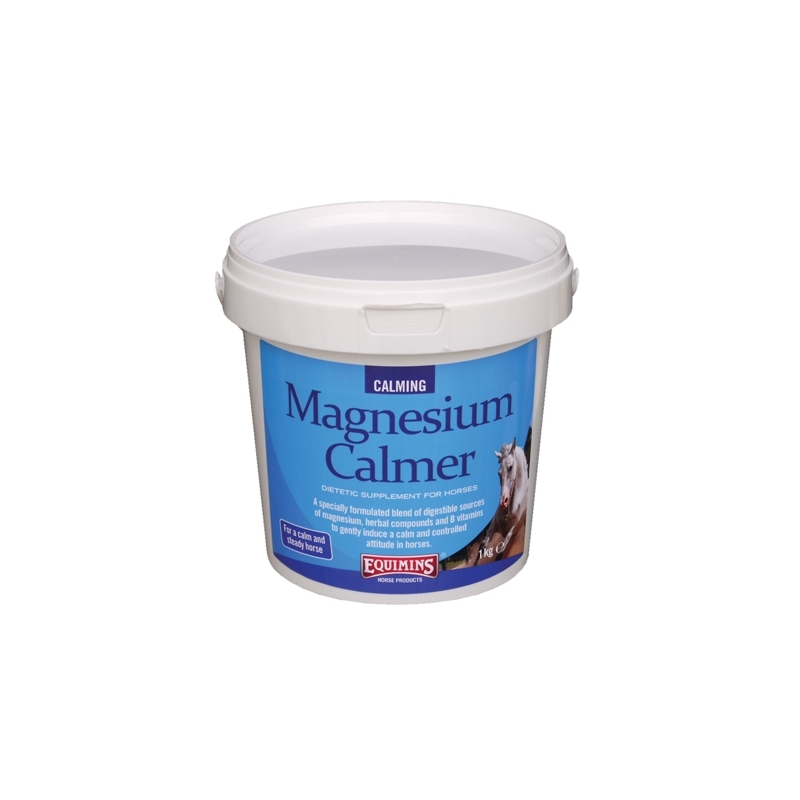 Magnesium Calmer. Our first horse has been transformed with Equimins products, we now have a second horse and want her to have the best too. I have used this product on my mare for the past 6 weeks now and the difference on her general behaviour has been astounding. She is much calmer and easier to handle and much nicer to ride. We are currently only using 1/2 a scoop but that seems to be sufficient. Magnesium Oxide, Heavy Magnesium Oxide, Epsom Salts, Magnesium Chelate, Calcium Glycinate, Passion Flower, Calcium Carbonate, Anhydrous Glucose, Elderberry Powder.